As Adam Lanza fired 154 shots from a rifle, mowing down 20 first graders and six educators at Sandy Hook Elementary School, a group of gun control advocates and law enforcement officers happened to be meeting in Colorado to craft legislation to curb gun violence here. Rep. Rhonda Fields, D-Aurora, who lost her son to a 2005 shooting, and Rep. Beth McCann, D-Denver, a former prosecutor and Denver manager of safety, both attended the Dec. 15 meeting. The news from Newtown, Conn., was fresh and shocking. Heartbreaking updates came in spurts on phones. No one knew at first why Lanza had aimed his violence at first-graders or that he had also killed his mother with her own gun. But it was clear immediately that a massacre of defenseless young children would dramatically alter the debate about guns in Colorado and the U.S., just like the Aurora theater shootings months earlier. After the November elections, Colorado Democrats knew they would control both houses of the legislature and the governors office. Still, they wanted at least one of their gun-control measures to garner bipartisan support. Republicans here were unlikely to support universal background checks or restrictions on high-capacity magazines. So, Democrats honed in on a measure to keep guns out of the hands of people suffering from mental illnesses, hoping to attract support from conservatives. 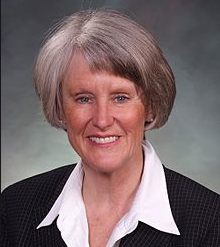 Rep. Beth McCann is trying to win bipartisan support for a gun bill tied to mental health. While she doesnt want to stigmatize people suffering from mental illnesses, she wants to protect the public. Even the NRA endorses a national database of people with mental illnesses. The group frequently touts its slogan: Guns dont kill people. People do. The inaccurate implication is that gun violence stems almost entirely from people with mental illnesses. Days after Newtown, NRA leader Wayne LaPierre decried an unknown number of genuine monsters, people that are so deranged, so evil, so possessed by voices and driven by demons, that no sane person can every possibly comprehend them. In Colorado, McCann planned to sponsor a measure that zeroed in on keeping guns out of the hands of people experiencing mental illness. (Click here to read more.) By requiring mental health workers to report potentially violent patients, she hopes to keep guns away from people like accused Aurora-theater shooter, James Holmes. Im looking at how to make our communities safer, McCann said. For instance, in the Aurora case, court records show Holmes had confessed to his psychiatrist that he was having homicidal thoughts more than a month before his attack. The psychiatrist reported those concerns to campus police, but Holmes was still able to stockpile guns, ammunition and sophisticated bomb-making equipment in advance of his July rampage. While McCann is concerned about protecting the rights of people with mental illnesses, shes also trying to safeguard the public. She planned to introduce her bill last month. But as drafts circulated around the Capitol, McCann took heat from all sides. Now she says the bill probably will call for a study instead of requiring mental health workers to report concerns about potentially dangerous patients to police. She may introduce it by Friday. Im working with Republicans to see if we can come up with some mutually agreeable language, McCann said Wednesday. As a bipartisan group of U.S. Senators is coming together this week to allow the first debate on a major gun control bill in Congress since 1993, McCann is leading her own challenging behind-the-scenes negotiations to introduce the last piece of Colorados package of gun reforms that advocates were discussing back in December. Gov. John Hickenlooper has already signed measures for universal background checks and limits on high-capacity ammunition clips. Now only the mental health questions remain on the table. Its very challenging. Its hard to figure out whos going to make the decision about when someone is so dangerous that they should not be able to buy a gun. How do you predict that? McCann said. As McCann has fought for a bill on guns and mental health, it turns out that forces on both the left and right colluded to undermine the effort. Gun-rights advocates in Colorado disagreed sharply with the NRA and didnt want any lists of gun owners whether they had suffered mental illnesses or not. Civil libertarians objected to a lack of due process that could allow seizures of guns from innocent people. And advocates for people experiencing mental illnesses worried that the proposed bill would further stigmatize people in need of care and could frighten them away from seeking treatment. Ironically, one of the most promising models for how to thwart gun violence among people experiencing mental health crises has been on the books since 1999 in Adam Lanzas home state of Connecticut. That law allows police to obtain a warrant and seize guns from people who might be a danger to themselves or others. Indiana also has a gun seizure law. Passed in 2005 after a fatal shooting of a police officer by a man experiencing paranoia, it allows police to seize firearms without a warrant if a person appears to be mentally unstable and potentially violent. People who have had guns seized are then entitled to a hearing to determine if they can have them back. And rather than preventing mass shootings like Newtown, Aurora or Columbine, the laws have been most likely to prevent suicides and potential murder-suicides. Dr. Paul Appelbaum of Columbia, says that only a small percentage of violence is linked to mental illness. Laws reducing access to guns in general may be more effective than targeting people with mental illnesses. National experts on guns and mental illness say Colorado may be better off taking a slower approach on new legislation to prevent gun violence related to mental illness. In New York, mental health advocates believe that the legislation Gov. Andrew Cuomo rushed into law in January could harm people with mental illnesses without curbing violence. The amount of attention thats been devoted to mental illness since the Newtown shootings seems to me to be vastly disproportionate to the actual impact of mental illness on gun violence, said Dr. Paul Appelbaum, a professor of psychiatry, medicine and law at Columbia University. The best data we have suggests that in this country somewhere between 3 and 5 percent of violence is attributable to mental illness, Appelbaum said. You could spend a lot of time and effort trying to identify everybody with a mental illness who might be dangerous and restricting their access to weapons and youd be left with 95 to 97 percent of the violence we have now. Preventing (dangerous people) from having access to guns is a good thing. But the focus in my view ought to be on reducing access to guns as opposed to focusing on people with mental illness. Appelbaum is one of many New York mental health professionals who worries that the portion of the new New York gun law that requires mandatory reporting of potentially dangerous patients will do much more harm than good. Its highly unlikely to have much of an effect on rates of violence, Appelbaum said. And its likely to be counterproductive in the long run. This is truly an unprecedented intrusion on the confidentiality of the therapist-patient relationship. Its likely to deter people from seeking treatment. One such patient who says mandatory reporting could have deterred him from asking for help during a psychotic break is Evan Silverman of Denver. Evan Silverman of Denver said he experienced his first bout of severe depression and paranoia in college. Three psychotic breaks followed in the 1999s. Silverman, who received a diagnosis of schizophrenia, is now doing well and works at Tattered Cover Book Store. But he says that he fears he might not have asked for help if he knew his name could end up on a police list of potentially dangerous patients. Silverman was a top student as a child then experienced his first bout of severe depression and paranoid delusions in college. I thought my neighbor was going to kill me, Silverman said. His dad flew to Oregon to help him and Silverman graduated from college and went to work at Tattered Cover. Then he experienced two psychotic breaks in the 1990s that culminated with a long-term hospitalization. As the psychosis set a second time, Silverman knew something was wrong and called his dad to meet him at a restaurant. As his dad arrived, Silverman raced out the door, convinced that someone from the FBI was tracking him. I knew in the deepest part of my soul that my dad would act in my best interest and that I needed his help, Silverman recalled during a session on mental illness with Colorado lawmakers. Silvermans father drove him to the ER, where Silverman recalls trying to escape. He was committed and endured 13 excruciating days in isolation, convinced that doctors were trying to poison him, unable to eat and suffering delusions. One of my delusions while in the hospital was that to be free all I had to do was go to Tijuana (Mexico). Tijuana is always a somewhat dangerous place and especially for someone experiencing a psychotic break, Silverman said. I have heard it stated that people with serious and persistent mental illness are 11 times more likely than the general population to be victims of violent crime. If I had thought that by going to the hospital my confidentiality would be breached or my name would be added to a database of people who are considered potentially dangerous, I might have made the choice to not call my dad at all and actually headed to Mexico. I could have died, said Silverman, now 38. Initially diagnosed with bipolar disorder, Silverman ultimately received a diagnosis of schizophrenia. He is doing much better now, considers his medications critical to his health and continues to work at Tattered Cover. Appelbaum of Columbia believes patients with severe mental illness who are most likely to hurt themselves or others also would be most likely to fear that if theyre honest with their mental health provider, that person would then betray longstanding patient privacy and report them to police. Many could fear having their names on government lists where they could remain for years. This is truly a sea change in how weve dealt with the privacy of the treatment relationship. Were now turning (therapists) into agents of the state, charged with trying to identify people who may create a serious risk of harm to themselves or to other people. Part of the answer is what many people dont want to hear. Guns that can kill large numbers of people ought not to be as available as they are today. Appelbaum thinks focusing on people with mental illness is a diversion from the truly dangerous people. Only a small number are mentally ill. Most murders are committed by people who are angry, drunk or using violence in the commission of another crime, he said. Identifying those people and depriving them of access to weapons is much more likely to be effective than this dragnet approach that weve taken toward people with mental illness, the vast majority of whom wont hurt themselves or other people. People become mentally ill. And they recover. Another complication of keeping guns away from people experiencing mental health problems is that crises come and go. Sometimes people have mental illnesses and gun access can be dangerous. Sometimes they get better. Deborah Azrealis a research scientist at the Harvard School of Public Healths Injury Control Research Center. She says that people with mental illnesses are at low risk in general for violence, but the biggest threat is suicide. Limiting access to firearms among people who are at risk of suicide when they are actually at risk of suicide is a laudable goal and isnt being addressed much in the wake of Newtown, Azrael said. Rather than focusing on the purchase of new weapons, changing behaviors around access to existing weapons could be also prove effective, she said. For instance, the slogan Friends dont let friends drive drunk has helped stigmatize drunk driving. Azrael says there could be great potential in mounting a similar campaign to routinely lock up guns and prevent access to them during periods of stress. Azraels fellow researchers at Harvard often talk about the 11th Commandment of gun safety: if you or someone you know is going through hard times loss of a job, struggle with alcohol or drugs, divorce or a legal problem its critical to limit the persons access to guns during that period of vulnerability. Azrael said there are interesting models around the country where places like gun ranges, pawnshops or gun stores allow the temporary surrender of guns. Azrael also thinks the Connecticut law allowing for temporary gun seizure when a person appears to be dangerous holds promise. Its ironic. It could have been used had someone called in the case of the Lanzas. Im not pointing fingers at anyone, but one issue with mental health and firearms is that mental health isnt a stable condition. People become mentally ill and they recover. We know that suicidal crises dont last, Azrael said. If you can interrupt a process of (suicidal thoughts) you have a real chance of saving a life. Access to guns during periods of instability can be dangerous. The real issue with people who are unstable and have guns is that they are much more likely (to become violent) when theyre in possession of a gun already, Azrael said. There are 300 million Americans and we all have real risks of going through periods of mental illness. By all means, fix the mental health systems. The benefits are likely to be enormous in all sorts of ways, Azrael said. Appelbaum of Columbia is also a supporter of gun seizure laws. In Indiana, a person who has had a gun seized gets a hearing within 14 days. But in that critical period when some guy is beating his wife and threatening to blow her head off or belligerent and threatening people in a bar, he doesnt have a weapon, Appelbaum said. In essence, theres a critical cooling-off period. In Colorado, gun-rights advocates, civil libertarians and advocates for the mentally ill all had reservations about the proposed bill related to guns and mental health. Dudley Brown, executive director of Rocky Mountain Gun Owners, thought NRA leaders were crazy to endorse databases of people with mental illnesses. Whats scary about this is that a lot of soldiers come home from Iraq and Afghanistan and theyre going to need to talk to a counselor, Brown said. If all of a sudden, the threat of talking to a counselor means they may not have the ability to possess a firearm for hunting or self-defense or a job, theyre not going to talk to a counselor. Its no surprise that many people in the military possess firearms, Brown said. They want to go duck hunting with their son every year or theyre police officers or want guns for self-defense or target shooting. Brown said some studies show nearly half of Americans will have some sort of mental health challenge in their lifetimes. So, in other words, you can strip half of Americas rights to keep and bear arms. This is not a little tiny change in the law. Its massive and its rife for potential lawsuits, Brown said. Dave Kopel, a libertarian with the Independence Institute, wants dangerous people off the streets, but worries about taking guns away from innocent people. 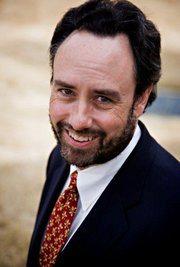 Dave Kopel is research director at the libertarian think tank, the Independence Institute. 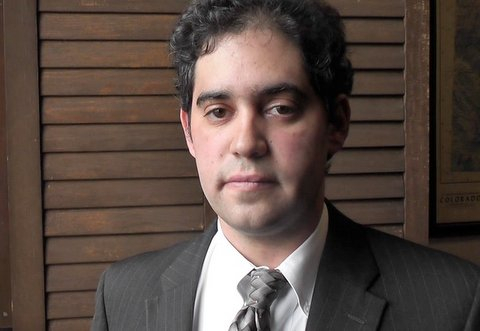 Hes also a policy analyst with the Cato Institute and a constitutional law professor at the University of Denver. He applauds the idea of a study on how to better keep guns out of the hands of people who are mentally ill. Mental health is a complex issue. Its important to get all the experts in the room. Rep. McCann, to her credit, did not just have this drafted in the (Democratic) caucus. It was circulated to some Republicans and they raised concerns, Kopel said. We need to take one step back, Kopel said. The issue is less about somebody like James Holmes buying a gun which we dont want him to do but that James Holmes is walking the streets. You want a guy like him civilly committed and off the streets period, Kopel said. We need to strengthen our civil commitment laws and provide substantial funding for that. That is something thats expensive in the short run, but will save lives and pay for itself in reduced prison costs. If you can commit a guy for three years and cure him, thats better than a life sentence for 50 years or going through a capital trial. Kopel believes the big problem with ordering mental health workers to report potentially dangerous patients, then banning them from buying guns is that it takes away due process rights. A social worker or nurse says this person shouldnt have a gun. That immediately imposes a gun ban on the person and turns them into a felon, Kopel said. From his libertarian approach, he says, you dont take anybodys rights away just based on someones accusations. In the Holmes case, Kopel believes that when the psychiatrist warned police about her clients suicidal fantasies, he should have been placed on a 72-hour hold. If the person is taking steps (toward violence) you definitely want to move fast, Kopel said. Im just concerned about due process. I want the guns taken away from the people from whom they should be taken. And I want it done with a fair process so we dont turn innocent people into criminals. Many advocates for people with mental illnesses want fewer guns in general, but worry that measures that specifically target people experience mental illness could be misguided. Michael Lott-Manier is public policy and advocacy coordinator for Mental Health America of Colorado. The group helped advise McCann, but didnt take a formal position on her bill. Our goal is to get people treatment when they need it and to encourage wellness, Lott-Manier said. When someone commits an act of violence whether its suicide with a firearm or one of these rampage killings, we want to prevent these atrocities from happening. But we want to go about it in a way that doesnt keep people from seeking treatment. We want to help them when they need it, he said. Recovery is always possible even from serious mental illness. When theres a highly publicized case like Newtown or Aurora and there are allegations of serious mental illness, Lott-Manier points out that system failures are complex. We didnt just fail on guns. The failure happened a long time before any of these people got guns. There was a failure to address a pretty serious mental illness. Lott-Manier said lack of treatment can lead to violent outbursts. And when it comes to gun deaths, many more Coloradans commit suicide than use a gun to kill someone else, especially in an extremely rare rampage-style killing. We dont want to say that any new gun laws are bad, he said. But we should all help people get the treatment they need. Lott-Manier says evidence and data about violence are quite clear. The way to prevent gun violence is to prevent violence and trauma in early childhood, he said. Those are the things that really matter to our community.